I’m honored to introduce Keith Cronin, author of the novel ME AGAIN (September 2011, Five Star/Gale) to Women’s Fiction Writers. ME AGAIN is women’s fiction written by a man and written from a male POV — just like many of us have mentioned, questioned and pondered right here on WFW. So, how does a guy end up writing women’s fiction? What’s it like to be the only fella in the room? How does this even happen? Can Keith help us define this genre? And…what’s his best advice for all of us? Many thanks to Keith for his thoughtful and thought-provoking answers. His perspective will make you nod in recognition — when you’re not scrambling to take notes! ASN: Would you tell us a little about yourself and your book? KC: I’ve been writing “seriously” (does that mean I have to scowl a lot?) since the late 90’s, and ME AGAIN is my second completed novel. My first one, a Mafia comedy, attracted a major agent, but ultimately went unsold. After that I wanted to take a different approach. I found an old unfinished short story that I had put away a couple years prior, and got really excited when I re-read it; I loved the premise, and both the emotional conflict and the voice were much more complex and poignant than my previous book. It really felt like an opportunity to dig far deeper emotionally than I had ever done before, so I developed the story, and sure enough, the two main characters really came to life for me. In a nutshell, ME AGAIN is about two young stroke victims who each have to choose whether to look at brain damage as a handicap, or an opportunity to lead a new life. Neither of these characters are based on real people, but the female’s main problem – that a stroke has radically changed her personality – was something that had happened to a friend’s sister, and ever since she told me about it I’d always found her situation just hauntingly heartbreaking, so I used it as the basis for this character’s journey. ASN: When you were writing the novel did you know it would be “classified” as women’s fiction? How did you feel about that as a male author? KC: I didn’t realize it would end up classified this way, but I did consciously set out to write a book that women would want to read. As a musician I travel a lot, and I’ve found that airplanes are a great place to get a sense of who is reading what. In my travels I would consistently see more women than men reading on airplanes – and reading a wider variety of authors. So I decided I needed to try to reach them, by writing a book with a strong and compelling emotional focus. But I’ll confess, when I started writing ME AGAIN, I just thought of it as the male character’s story, although I knew there would be a major female character. It was only as I immersed myself in writing the book that it became clear that the female character’s conflict and ultimate transformation were really key to the overall point of the book. When Five Star expressed interest in the book for their Expressions line, which is their romance and women’s fiction line, I was delighted – it seemed like an excellent fit. ASN: Were there any unusual or interesting reactions to your book because you’re a guy? Have you been “accepted” into circles of women’s fiction authors? KC: I’ve been surprised and delighted by how open and welcoming everybody has been thus far. I rather hesitantly joined the Romance Writers of America this year, and recently skulked into my first local chapter meeting, with one eye on the exit just in case it was too weird or uncomfortable. But the people were incredibly friendly, and really embraced me – I wound up spending the entire day hanging out with a core group of them, and now I never miss a meeting. Likewise, I’ve joined a few online groups that focus on romance and women’s fiction, most of which are populated entirely by women, and they’ve been equally open and warm to me. It can be daunting to often be the only male, but nobody has had a problem with it, and if anything they seem to welcome the sheer novelty of having a Y chromosome in the room. And I was thrilled to be asked to be one of the women’s fiction panelists at this year’s Backspace Writers Conference in Manhattan, which is both a huge honor and yet another sign of how well I’m being accepted into the women’s fiction community. ASN: Do you think men will be more likely to read the book since you’re the author? ASN: Did you ever consider using a pseudonym? KC: No, not really. It’s not an uncommon strategy for men who write romance or women’s fiction to either use a pseudonym or a sexually ambiguous set of initials. But both my parents were journalists, so I’ve been raised with a healthy appetite for the byline. I’ve wanted to see my name on the cover of a book for a long, long time, so I wasn’t inclined to give that up just because of how my book is being marketed. And frankly, a woman who wouldn’t read my book just because I’m a man is not a reader I’m likely to connect with anyway. ASN: How do you define women’s fiction? What makes it different from “general” fiction or what some call a family drama? KC: I really like your own definition of women’s fiction, in which the woman is responsible for solving her own problems. Another one I like a lot is that women’s fiction is storytelling that takes the issues women care about seriously. A much more succinct definition – and one that I fear is probably more true than I’d like to admit – is that women’s fiction is fiction that men won’t read. Ouch. In my own attempt to cobble together a definition, I came up with this: In men’s fiction we want the reader to care about what the characters do, but in women’s fiction we also want the readers to care about what the characters feel. But I think the Women’s Fiction chapter of the Romance Writers of America does one of the best jobs of capturing it. They have a detailed definition posted on their website, and although they are defining it within the parameters of a romance-reading audience, they identify what I think is the essential component of women’s fiction: that it needs to focus on the personal growth and transformation of the main female character. ASN: ME AGAIN has a male main character. Why does it work well as women’s fiction? KC: ME AGAIN is written from the first-person viewpoint of a male character, a young stroke victim who awakens from a six-year coma with no memory of who he is. The blank slate that he begins the book with creates a vulnerability that I’m hoping both female and male readers will find compelling. Early in the book he meets the main female character, a young woman who is trying to cope with how a stroke has changed her own personality, making her a stranger to her husband. The two are drawn together by the strangeness of their respective situations, and ultimately begin to understand each other better than anybody else – including her husband and his family. As the book progresses, the male character and (I hope) the reader will begin to see that the female character’s problems are in many ways more pressing, creating a more urgent need for some sort of transformation or resolution. I think that’s why Five Star chose the book for their women’s fiction line, but I’m aware this is atypical for a women’s fiction book, and I suspect there may be some women who will pass this book by because it doesn’t follow the typical format of setting the female as the main POV character. But my hope is that if they take a deeper look and try to consider just what the female character is facing, they may find the story compelling and satisfying. This is a woman constantly reminded by her husband that she isn’t the woman he married, with the implicit message that he wishes she were somebody else – and it’s someone she can never be. ASN: Do you compare your writing to anyone in particular? KC: With ME AGAIN I’m shooting for sort of an “American Nick Hornby” vibe. Although many people categorize Hornby as writing humor or even “lad lit,” I think if you take a closer look you’ll find he’s often writing about very serious topics, and the humor in his writing comes from the clever and/or quirky viewpoints of his characters, and from the ironies that real life so often injects into our existence. Plus he does wonderful female characters, such as the protagonist in How to Be Good, and two of the four first-person narrators in A Long Way Down, and the main female character in Juliet, Naked. He frequently uses an approach that I would summarize as “serious things happening to witty people,” which is definitely a model that resonates with me. ASN: Do you read women’s fiction in addition to writing it? What are some of your favorite books/authors and why? And what are some of your other favorite books? KC: I never really consider genre when I read, but I certainly read plenty of what is considered women’s fiction. I tend to like stories with a humorous angle, so I particularly enjoy writers like Jennifer Crusie, Lani Diane Rich, Susan Elizabeth Phillips, Helen Fielding and of course Jane Austen. Crusie is a particular favorite: I loved her modern-day fairy tale Bet Me, as well as Tell Me Lies and her most recent novel Maybe This Time, which is a reimagining of Henry James’ The Turn of the Screw. Plus she is an amazingly generous writer who blogs, hosts online forums, and does weekly podcasts analyzing a series of popular movies along with her friend Lani Diane Rich. The Accidental Tourist by Anne Tyler is one of my “desert island books,” which I think still qualifies as women’s fiction, although both the male and female characters make important emotional journeys. I’m also a big fan of some emerging women’s fiction writers who write in a more serious vein, like Susan Henderson, author of Up from the Blue; Jael McHenry, whose excellent debut The Kitchen Daughter just came out; and Danielle Younge-Ullman, whose first novel Falling Under was just jaw-droppingly good. Other writers I really enjoy include Nick Hornby, James Ellroy, Sara Gruen, Ed McBain, Annie Proulx, Jon Clinch, Elmore Leonard, Donald Westlake, and I’ve just recently – and quite belatedly – discovered Elizabeth Peters. I know I’m forgetting about a million others, and my stack of to-be-read books is reaching a life-endangering height! ASN: What’s your best advice for aspiring women’s fiction authors? 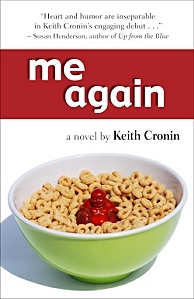 Keith Cronin is the author of the novel ME AGAIN, coming in September 2011 from Five Star/Gale, Keith Cronin is a corporate speechwriter and professional rock drummer who has performed and recorded with artists including Bruce Springsteen, Clarence Clemons, and Pat Travers. Keith’s fiction has appeared in Carve Magazine, Amarillo Bay, The Scruffy Dog Review, Zinos, and a University of Phoenix management course. A native of South Florida, Keith spends his free time serenading local ducks and squirrels with his ukulele. Visit him online at www.keithcronin.com or www.facebook.com/keithcronin. Marvelous! ME AGAIN really does sound moving, and I wish you the best, Keith. This is my definite kind of read, and it will go on my list (which is, like yours, ridiculous in size–although that thrills me). You likely have your plans, but if/when you need ARC reviewers, I’d love to (if I may be so bold) help with that. Another winning post, Amy. You goddess, you. Love this advice: “Make sure your protagonist is a driver, not a passenger.” Not every protagonist/narrator has to be a bold risk-taker, but taking action and making decisions are always more interesting than observing someone else’s action or reporting on someone else’s decisions. Keith is one of the most generous and supportive people in some of my favorite online writing communities, and I’m glad to see him pop up here as well. Great interview, both of you! Jael, that was my one of my favorite parts too! I’ve been contemplating it since Keith sent me his answers…and it’s perfect for me, in the throes of revisions! And ditto on Keith being a generous writer. As are you! Wonderful interview, Keith. Thanks for the shout-out to the women’s fiction chapter! What a terrific interview! Keith is definitely on my “most admired” list, and it’s not hard to see why. He’s one of the smartest, hardest-working authors I know – and a great guy! Excellent interview and thanks, Amy, for introducing us to this new women’s fiction author. I agree with all that he said, especially the part that women’s fiction authors can most definitely be male. Hey, look at Nicolas Sparks….the gender of the author isn’t what its about….its about the great characters and story. I can’t wait to get my hands on Keith’s book–I think it’s going to have great appeal to both men and women. Happy Publishing, Keith! I really loved the description of women’s fiction as a novel for those who care about how the characters feel. And kudos to you, Keith, for entering into this genre, even though you may have done so with no intention of getting here! Thanks for reading and commenting! Amy asked me some great (and very challenging) questions, and I’m glad people are enjoying our interview. One of the things I enjoy most about writing women’s fiction is how much I learn from the process emotionally. My first book was much more of a “guy book,” and while I learned some interesting plot-related factoids while researching the book, I can’t say I really learned anything emotionally from writing it. But with ME AGAIN, I was amazed by the emotional discoveries I made – I think I was about 3/4 of the way through with the manuscript when I suddenly realized, “Holy crap – so THAT’s what this book is about!” It’s definitely the first time that something I wrote made me laugh *and* made me cry. Keith, so glad we didn’t scare you off after your first meeting. Of course we enjoy having a few token males to liven things up, lol. Very interested to read your book. Sure to be a great insight into the male mind. Jim, there is an argument to be made that the category of “women’s fiction” is indeed sexist. After all, there’s no category called “men’s fiction” – it’s just “fiction.” Is that fair? I don’t think so, and neither do many authors I communicate with. But whether we like it or not, the category exists, and it is used to position books within the marketplace. And I do think it’s safe to say there are some key differences in what many women look for in a book as opposed to men – although I’m talking in sweeping generalizations here. So I think that by categorizing certain books as “women’s fiction,” the industry is simply trying to connect a group of readers with some literature they’re likely to enjoy. But you’re right: it’s merchandising, nothing more. As a reader, I’m category-agnostic. It wouldn’t occur to me to worry about what genre a book I’m reading falls into, nor the gender of its author. I’ll finish a Jennifer Weiner book and follow it up with some Andrew Vachss, with a re-read of an Austen novel thrown in along the way. I just read what I like. But as a writer launching a publishing career, I believe it’s in my best interest to be able to understand and navigate the marketplace. And I suspect that marketplace sells Jane Austen novels to far more women than men. What a fabulous and interesting topic (especially since I JUST met and spoke with male author Jamie Ford – author of HOTEL ON THE CORNER OF BITTER AND SWEET). One of his comments was: “I wanted to write a love story, but it’s hard because I’m a guy.” His novel is far more than a love story – it’s literary, it’s emotional … I personally believe it’s women’s fiction. Though when I asked him, he identified it as commercial fiction. I think we discussed that earlier, Amy Sue. I even tend to think novels deemed as wholly “literary” by the industry that are authored by men and have mainly male MCs – The Story of Edgar Sawtelle, The Miracle Life of Edgar Mint, Middlesex, Kings of the Earth, You Remind Me of Me – all fall into the women’s category of fiction. Because at their heart, all deal with deep emotional battles and internal conflicts… Keith is making me feel that I might not have been wrong with my assumption! I’ve SO enjoyed Keith’s perspective (and his definitions: “women’s fiction is storytelling that takes the issues women care about seriously” and “in women’s fiction we also want the readers to care about what the characters feel” and “a focus on the personal growth and transformation of the main female character.” This is GOOD stuff). I hope you’ll invite more male authors to your site. I’ve enjoyed the insight. Ditto to everything already said in the comments: I love Keith’s insights on the various definitions of women’s fiction, and his book sounds so intriguing. Looking forward to reading it! Thanks for an amazing interview! Great interview and fascinating take on women’s fiction. Can’t wait to read the book. Wonderful! I love to see “Women’s Fiction” expanded in this way. The books sounds great, and I LOVE the cover! Thanks for all the encouraging comments – they really mean a lot to me! I can only say that we at Keith’s local chapter, are charmed with Keith’s wit and personality. A good, kind, man, rests within his soul! Good luck Keith!! It certainly sounds like you don’t shy away from difficult topics! This sounds like deep, difficult, and ultimately fulfilling stuff. Thanks for sharing your wonderful insight into the art of fiction. There are some great tips here. Keith: Very astute – you are a pro in the field already. And as one of the token males in Florida Romance Writers (for almost ten years), I can safely say the group has been overwhelmingly generous and kind to me – and I have learned so much from all the writers on board. However, it’s wonderful to see another man with this writerly sensibility. Oddly enough, of the seven novels I’ve written, four are told from the female viewpoint. They are books about women, for women – I think they hold some of my best work. These characters have greatly enriched me, and, I hope, my readers. Terrific interview, Keith and thanks Amy for an inspired guest and topic. I’m looking forward to your book launch in the fall. It sounds like a great read. I’m in agreement with the previous commenters about being pragmatic about genre-labelling in the marketplace. We write the books we write, and there’s not much that can be done about it, in the short term. Maybe things will change. Maybe even the attention around men writing women’s fiction will cause some men who wouldn’t previously to pick it up and say, I wonder…? Personally I think it’s just sad that so many men haven’t read Jane Austen, or don’t “get it”, and are missing out on all the wonderful women’s fiction that’s written today. What a great interview! I’m so glad you introduced us to Keith. Amy, look how much this blog has grown in such a short time! Keith, I loved reading all about your take on (and experience with) women’s fiction! Refreshing to see a man who appreciates this genre just as much as we do! Thanks for introducing me to Jennifer Cruise — somehow, I’d never heard of her and her books sound amazing! I love what you said about making sure our protagonists are the drivers of their stories and not the passengers. I think that’s a GREAT point to consider as we write. Good luck with ME AGAIN! Love that Keith has written this novel with both the art and the market in mind. First, I have to say that you are in for a treat when you read Keith’s book. If you can’t buy it,I recommend requesting it at your library. Keith’s Five Star editor was my husband, Gordon Aalborg, a.k.a. Victoria Gordon, the author of 20 Harlequin romances (all are at Kindle now). 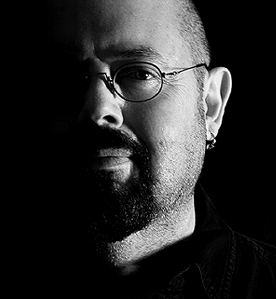 Gordon was Harlequin’s first male author. Keith and Gordon were a very good fit, LOL. And I was lucky enough to get a sneak preview of ME AGAIN. As Keith’s editor for ME AGAIN, and a writer of women’s fiction myself, I can only be hugely impressed by his work … and AM. But there is no great secret in the process of writing (as a man) for a female readership. EMOTIONS are not gender-specific, it is only the reactions that might be. What is important — and Keith understands this very well indeed — is to have the emotions in the first place. Great interview, Amy! I wrote one book as a man and one book with several male POVs. I was intimidated at first, but as I got into my characters, the men came alive for me and I found they struggled with the same things I do as a woman. Only difference was they had to be coaxed into talking about it. 🙂 Keith, best of luck in your writing ventures. Rebbie! I’ve missed your insightful comments and posts! Welcome to this new blog! Keith, this is a fabulous interview and shows why you deserve the attention of the literary community. I hope your book does well and hope to see you at an upcoming FRW meeting! Great interview Amy and Keith!! I was so intrigued with the premise of Me Again and Keith’s perspective as a male writer of women’s fiction that I immediately searched Amazon for it, only to realize I missed the part in the intro that said it was not coming out until Sept. Woe is me!! Keith, So glad you discovered Elizabeth Peters (aka Barbara Michaels). She is one of the very best women’s fiction writers! Nice interview! I was reading “Eat, Pray, Love” on an airplane yesterday, and realized how the unwritten rules of readership/authorship bumfuzzle me. Why would people stare at me for reading a NY Times bestseller? Words are words. So, Of COURSE Keith can write women’s fiction…for any woman smart enough to pick up his book. Mary Shelly, George Sand, and countless other women kicked down those barriers long ago, and men should do the same. Everything else is marketing. Keep writing, Keith. Can’t wait to read it. Great interview. Insightful, which was just as I expected. You had me at Nick Hornby. 🙂 Can’t wait to read Me Again, Keith! Great interview! I love the different definitions of ‘women’s fiction’. I know the definition of our online RWA Women’s Fiction group, and that definition suits what I love to write and read, regardless of the official genre of the book. I describe it as ‘book club lit’, those oversized paperbacks you often see lying on the display tables in a bookstore that (mostly) women will be reading in book clubs in the coming months. And thanks for the Nick Hornby comment! As someone who recently read and enjoyed Nick Hornby’s “Juliet, Naked”, I kept wondering how this book could not slip into the defintion of women’s fiction as well. The female character grew and matured throughout the novel (as did the male character). I guess it crosses both ‘lad lit’ and ‘women’s lit’. BTW, great blog! I finally had a chance to hop over here. PS – and thank YOU Keith – love love love that cover, and the engaging interview. Congrats on the book – will be checking it out, of course.